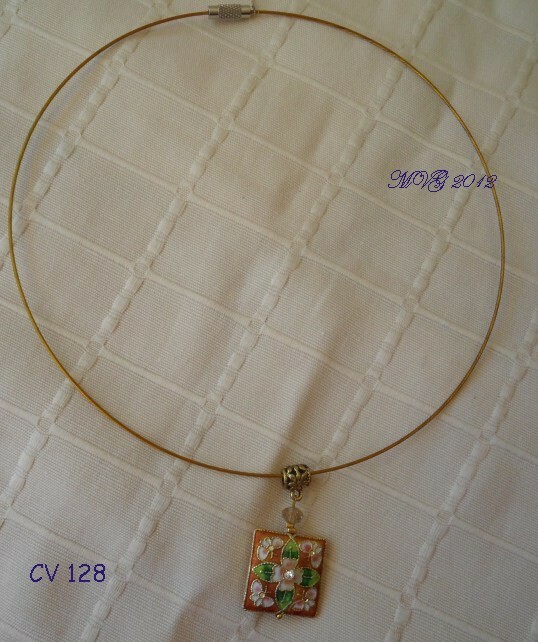 Collar de cristal y alambre de joyería, mide aprox 48 cms. 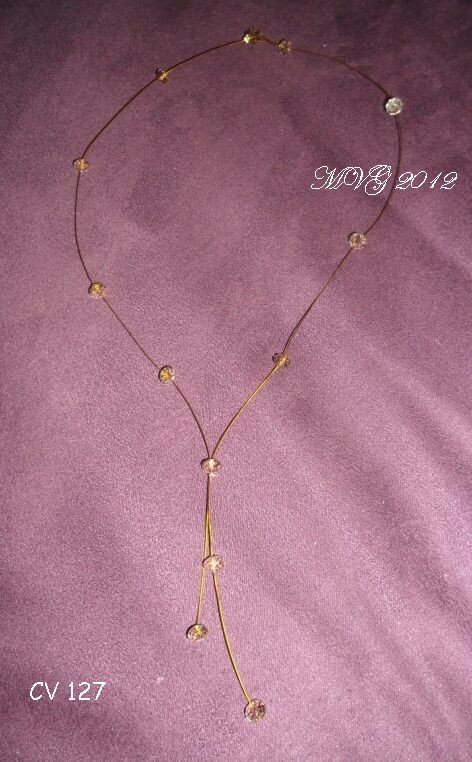 Chocker made with cristal and jewelry wire. Collar "Pandora", con cuentas de vidrio, nácar, y cuero. 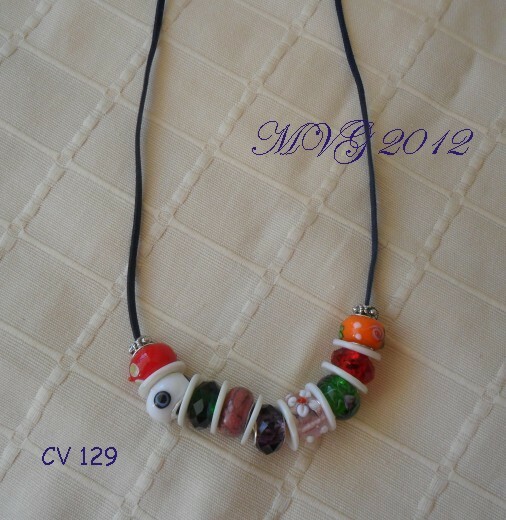 Pandora chocker made with glass beads, mother of pearl and leather. 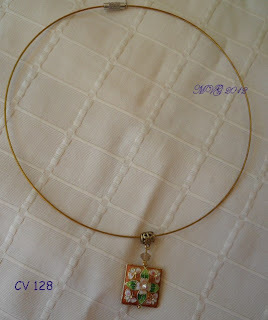 Collar corto con colgante de cristal y cloisonée. 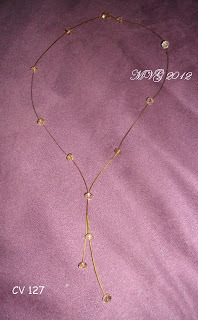 Chocker with cristal and cloisonee pendants.